When you take into account his stage name Saint Paul, one is likely to believe that the saints have come down to serenade us with their heavenly tunes but alas, he is very much human and Nigerian too. 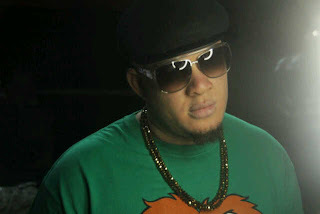 dropped his debut hit track ‘’no dulling’’ which is presently enjoying massive airplays on local and international media. The video was directed by the award winning Capital Hills’ Chief Executive Officer, Clarence Peters. A versatile artiste, Saint Paul has shown his musical prowess having recorded songs in all genres not just limited to Pop, RnB and Raggee. A gifted and talented singer and song writer, Saint Paul’s work showcases an array of uncommon and excellent composition. With an album in the pipeline, Saint Paul has more than enough songs to make an album as he is bent on giving music lovers a moment of their lives as he feels the need to make a grand entry into an industry that is fast growing right now. Saint Paul, the alumnus of Sociology and Anthropology from the famous University of Benin, Edo State, has done songs in Pop, R n B and Reggae genres; he started from his high school days where he was once a choir prefect, he was actively involved in coordinating the renditions and also a strong force behind the annual Christmas carols of his church. Signed on to Crossroads Records, Saint Paul hopes to be one of the revelations of 2012 as far as music is concerned. Armed with an impressive video and backed by a commited record label, Saint Paul is on ‘No Dulling’ tempo.